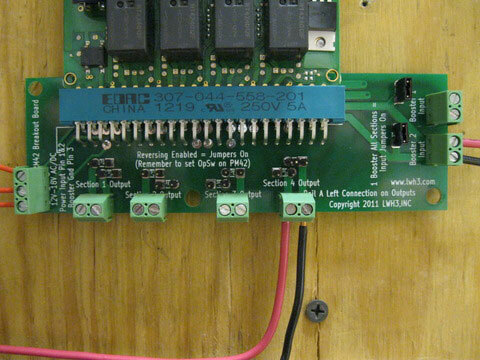 The PM42 breakout board is setup to accept up to two inputs and four distinct outputs. Each output has a set of jumpers that allows you to set that particular section to reversing, assuming the correct OpSwitches have been set inside the PM42's memory. Copy this PM42 Breakout Board to your MY ACCESSORIES roster.